This tour gives you an insight into the delights of the South of Vietnam, from Saigon and the Cu Chi tunnels, a Byzantine maze of underground passages, chambers, rooms and booby traps used by both the Vietminh and the Viet Cong down to Phnom Penh, Chau Doc and the Mekong with its large networks of meandering rivers. Towering limestone pillars wait to greet you in the emerald waters of Halong Bay, old UNESCO villages and a bevy of activity on the river inlets. 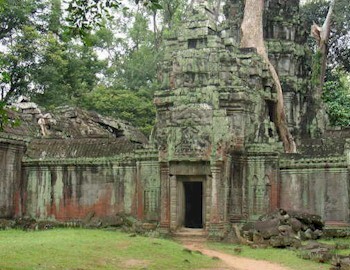 The tour ends off with a visit to some of the temples of Cambodia from Angkor Watt to Ta Phrom. After arrival to Vietnam you will be given the chance to discover some of Hanoi&apos;s highlights. We start with the Vietnam museum of Ethnology where you can get an idea about the 54 ethnic groups of Vietnam and see some typical rebuilt houses at the outdoor museum. Next we go to the Temple of Literature. Overnight in Hanoi and attend the water puppet show in the evening. Early risers can enjoy fresh air and breeze before breakfast. 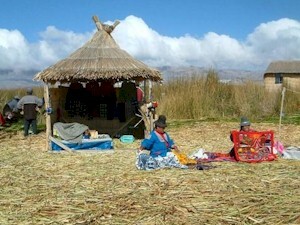 We then start out by tender to a secluded floating village surrounded by the mountains. We make our way between numerous floating houses and small rowing boats that serve the everyday life of the people, along with their small shops and homes. A buffet lunch is served on the way cruising back to the harbour. Next, disembark then have a drive back to Hanoi airport for your flight to Da Nang then take a 2-hour transfer to Hue. Overnight in Hue. This morning, board a boat for a trip on the Perfume River to go to Thien Mu Pagoda, one of the most famous of all Vietnamese landmarks. Legends explain how the pagoda came to be: one has it that an old woman instructed Lord Nguyen Hoang in 1601 to walk along the river with a lit incense stick and build a city at the spot where the incense stopped burning. Nestled in the lush valley of the river stand seven tombs built for seven Nguyen emperors. Each is an expression of the unique personality of the man who held power. Each is comprised of three elements: a temple dedicated to the worship of the deceased emperor and his queen; a stele made of stone that records the biographical and historical high points of his life; and the royal tomb itself. We will continue to two tombs of Minh Mang and Tu Duc before having lunch at a local restaurant. This afternoon, we drive back to Hue city central. Kinh Thanh, the citadel, is perhaps the most well known site in Hue. Begun in 1805 by Emperor Gia Long, it is actually a complex comprised of the Imperial City, several museums, lakes, and lovely gardens, all laid out in a series of concentric circles. We also see the Forbidden Purple City, originally built in the early 1800s for the personal use of the emperor and staffed by eunuchs who posed no threat to the royal concubines. It was nearly destroyed in the Tet offensive. Overnight in Hue. In the morning, you will take a 4-hour drive to Hoian, a charming old town which was recognized as a World Natural Heritage site. On the way, we will stop at Lang Co beach, Hai Van pass, Cham sculpture museum and Marble mountain. In the afternoon, we take a tour of the historic pagodas, houses and bridges of Hoi An. This is Vietnam&apos;s most enchanting town, an ancient trading port of narrow streets, historic buildings, fine food and abundant shops. The influence of many countries can be seen as you wander the streets. Great efforts are being made to preserve the town for new generations and cars have been banned from the most popular streets. There are many important sights in compact Hoi An and all can be explored on foot. The most popular destination include the Japanese covered bridge, dating from 1593, a number of historic Chinese merchant houses preserved in their original 19th century state, such as Tan Ky House and 77 Tran Phu, and several important congregation halls. PM: Flight to Hochiminh city. Free at your leisure. In the morning, we take a drive to visit the Cu Chi- a fabulous tunnel. These tunnels are a symbol of Vietnam&apos;s continual fight against foreign oppression and imperialism. The tunnel system covers close to 200 km including under what was once a US air base. The tunnels once spanned an area stretching from close to the Cambodian border to the city limits of Hochiminh City. They were originally constructed to fight against the French in the 1940s, to give a peasant army a means of communication between villages whilst remaining undetected. In 1960 the Viet Cong repaired and added to the tunnels to fight against the South Vietnamese and American forces. The Commander of the American forces in the region held the opinion that the Viet Cong who were responsible for digging them were like human moles. In the morning we drive south to Cai Be. Upon arrival, start our private cruise excursion, departing from our own pier in Phu An hamlet at around 10.00 am. Upon embarkation, you are welcomed with fresh cotton towels. The tour will begin with the visit of Cai Be colorful floating market, cruising among local barges full of fruits and vegetables... Cruising further, your sampan will bring you to see some local home factories to discover traditional rice paste making, rice pop corn, coco candies, and longans drying process. A delicious lunch will await you at a superb Indochinese villa, Le Longanier, located in a luxuriant garden by the river. After lunch, your sampan will proceed the cruise to Dong Hoa Hiep. On the way, you will be able observe the typical Mekong delta rural life. These evergreen islands among the Mekong River still remain unknown to many people. Visit an ancient mandarin house dating from the 19th century where the family will welcome you with a cup a tea. We will proceed to Vinh Long, passing beautiful landscapes along Dong Phu canal, Binh Hoa Phuoc and An Binh islands famous for their fruit orchards. After crossing the Co Chien River, the excursion will end at Vinh Long pier around 4pm. Breakfast at the hotel followed by an early boat trip to the bustling wholesale Cai Rang & Phong Dien floating markets where the farmers exchange their products. A walk on a peaceful country road provides magnificent sceneries of local houses, orchard gardens and fields. Don&apos;t be surprised if you are invited by a local family to join them for a cup of tea! We will have lunch at a local restaurant before driving back directly to the airport for your flight from Vietnam to Cambodia, to Siem Reap. We rise early to travel to Ta Prohm in the dawn light. Ta Prohm has been abandoned to the elements, a reminder that while empires rise and fall, the riotous power of nature marches on, oblivious to the dramas of human history. Left as it was &apos;discovered&apos; by French explorer Henri Mouhout in 1860, the tentacle-like tree roots here are slowly strangling the surviving stones, man first conquering nature to create, nature later conquering man to destroy. After soaking up the unique atmosphere of Ta Prohm, we continue to the giant pyramid of Takeo, one of the highest temples in the Angkor area. This morning we also visit the remains of an old Angkorian bridge which once spanned the Siem Reap river. Like the Romans before them, the Khmer kings built long, straight roads connecting the outposts of their empire and these included many magnificent bridges. 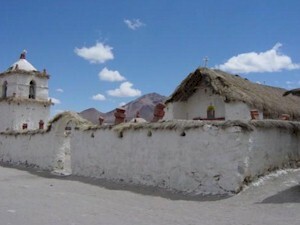 There is also the option to visit the smaller temples of Chau Sey Devada and Thommanon for temple enthusiasts. In the afternoon, we travel through the traditional village of Preah Dak to the 12th century temple of Banteay Samre. The temple is unique in that over-quarrying of sandstone led to the use of laterite for the roofed corridors. The pediments above the inner doors here include some of the most accomplished carving from the Angkor period. We continue to Banteay Srei, Angkor&apos;s ultimate art gallery. This petite pink temple is the jewel in the crown of Angkor-era sculpture. The elaborate carvings are the finest in Cambodia and the name translates as &apos;Fortress of the Women&apos;. Rising early, we journey to the Mother of all temples, Angkor Wat. Believed to be the world&apos;s largest religious building, this temple is a fusion of symbolism and symmetry and a source of pride and strength to all Khmers. Built in the 12th century by King Suryavarman II, this is the most famous temple at Angkor. We stay at Angkor Wat to enjoy a picnic breakfast. As the crowds return to their hotels, we venture into Angkor Wat to enjoy its magnificence in peace and quiet. We begin by unraveling the mysteries of the bas-reliefs that tell of tales from Hindu mythology and of the glories of the Khmer empire. In the afternoon, we visit the immense walled city Angkor Thom that was the masterpiece of King Jayavarman VII. We begin our visit at the Terrace of the Leper King. This intricately carved platform was the royal crematorium and the statue that was originally thought to be the leper king is now believed to be Yama, the god of death. We continue along the Terrace of Elephants, originally used as a viewing gallery for the king to preside over parades, performances and traditional sports. At the southern end lies the Baphuon, once of the most beautiful temples at Angkor, dating from the reign of Uditayavarman 1 in the 11th century. It has undergone a massive renovation by the French and is now once again open for viewing. We end off at the enigmatic and enchanting temple of the Bayon. Its 54 towers are each topped off with the four faces of Buddha. These colossal heads stare down from every side, exuding power and control with a hint of compassion, just the mix required to keep a hold on such a vast empire. Have more free time until taking a transfer to the airport for your flight home.